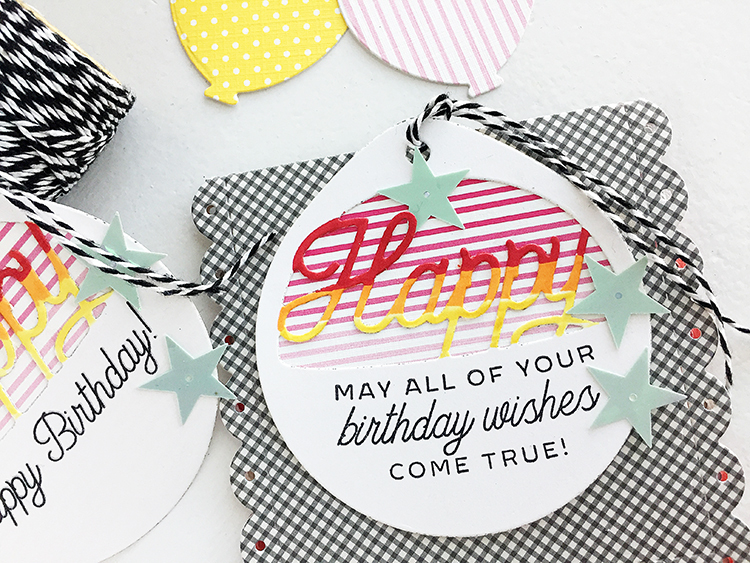 Today the Papertrey Ink team has more party stuff to show you! 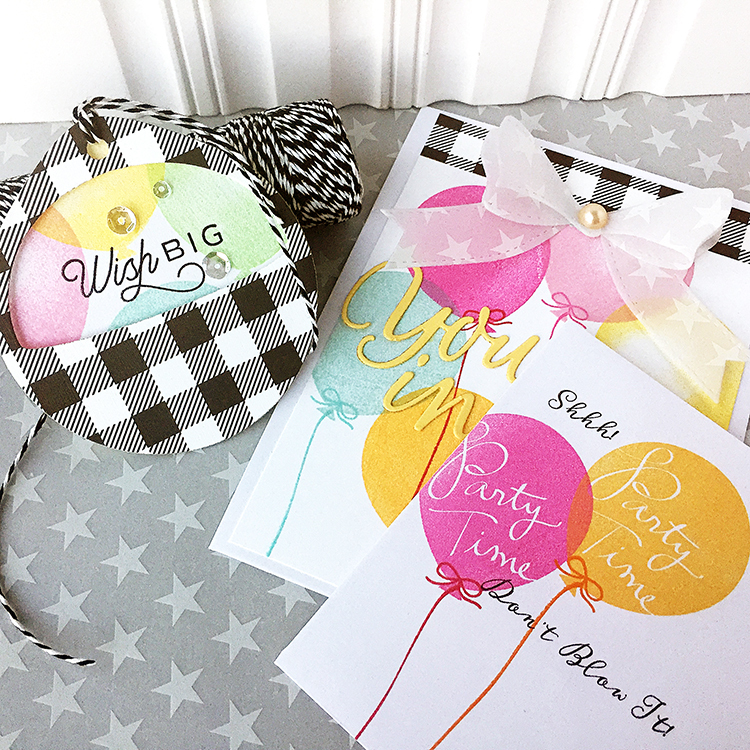 We are working with some new dies called Big Basics and the Invitation Basics stamp set. 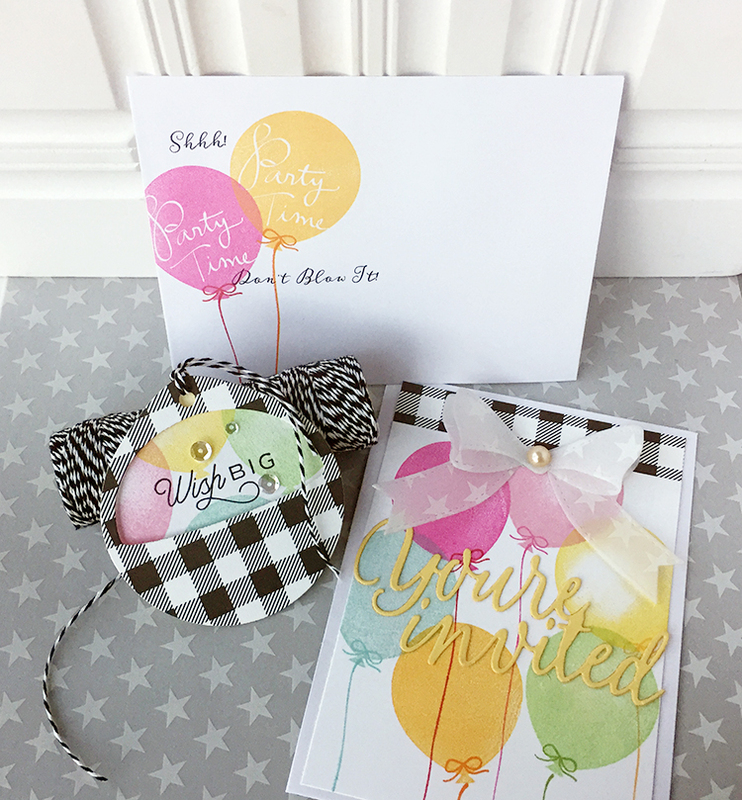 I've made a pre-teen girly party ensemble with an invitation and coordinating envelope and a tag. 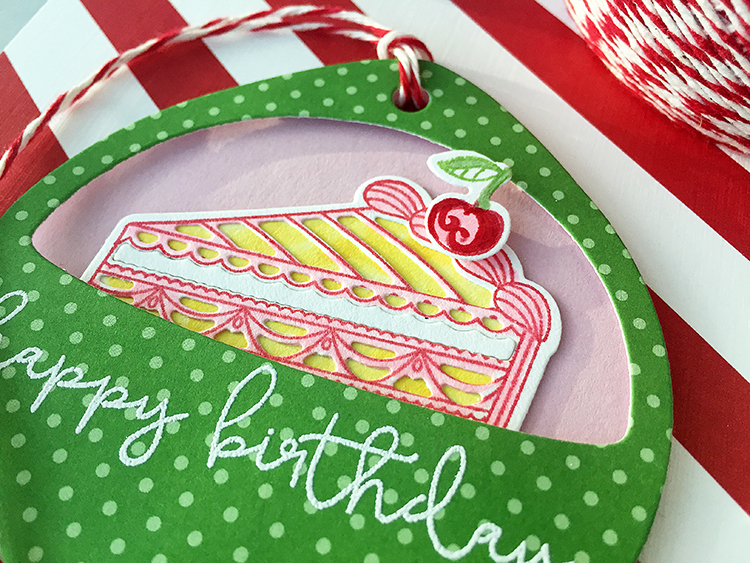 The tag was cut with the new Basic Cut Tag and the Window Cut Tag. 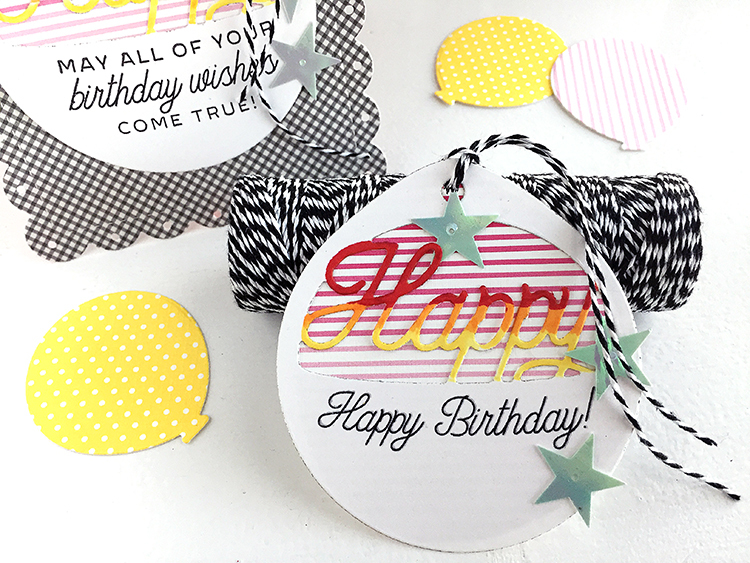 I stamped on the background tag (Basic Cut Tag) with the Invitation Basics with the balloons. 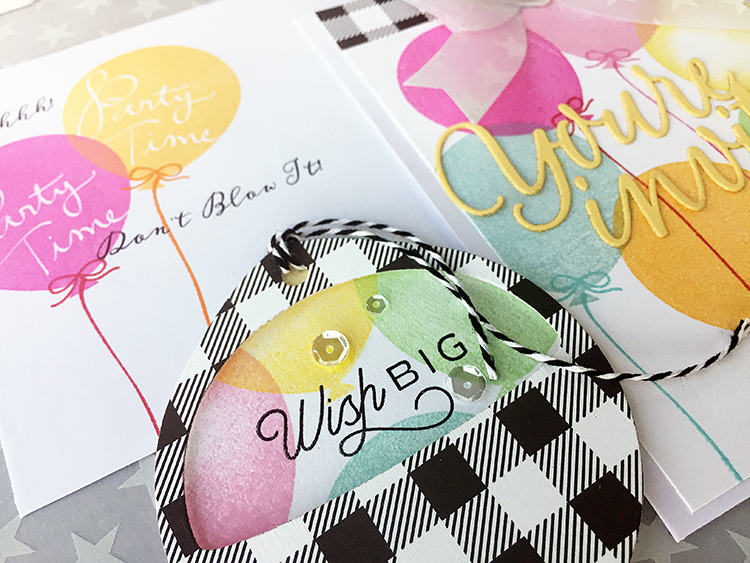 I stamped the Wish Big sentiment with the For You stamps. 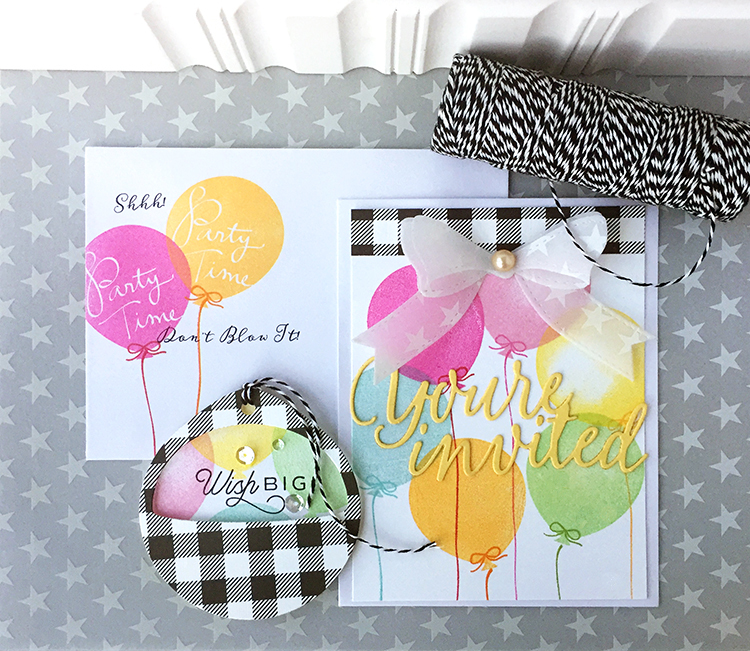 The invite is stamped with Invitation Basics and a die cut "You're Invited" is made with Big Basics: You're Invited dies. 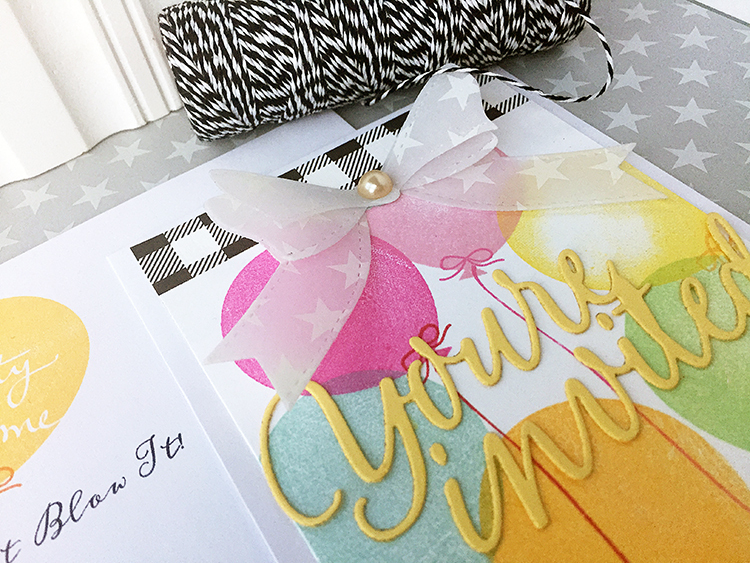 The bow is made with the new Wrap It Up dies. 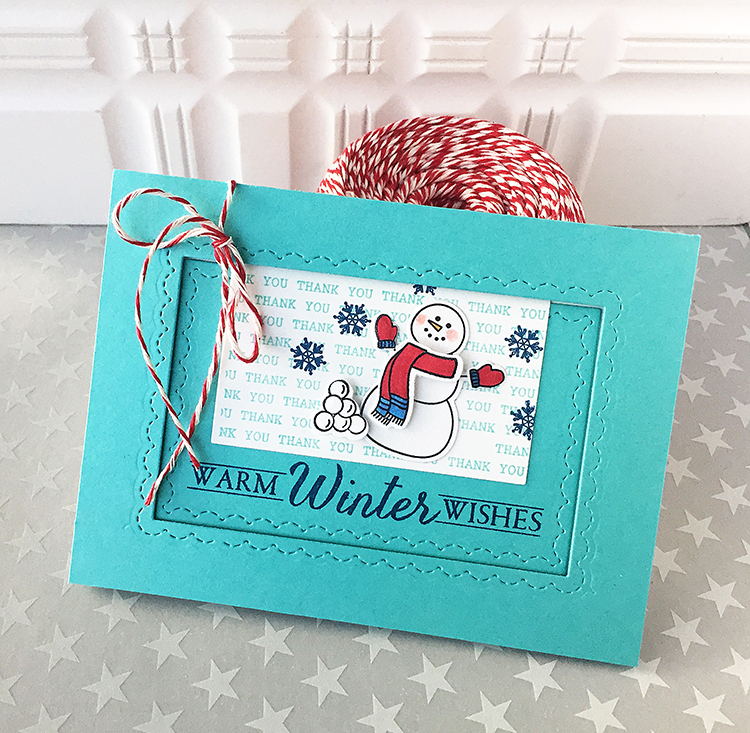 And last is a stamped envelope to match! 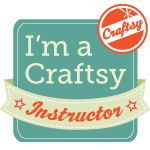 I love these products and had so much fun with them! 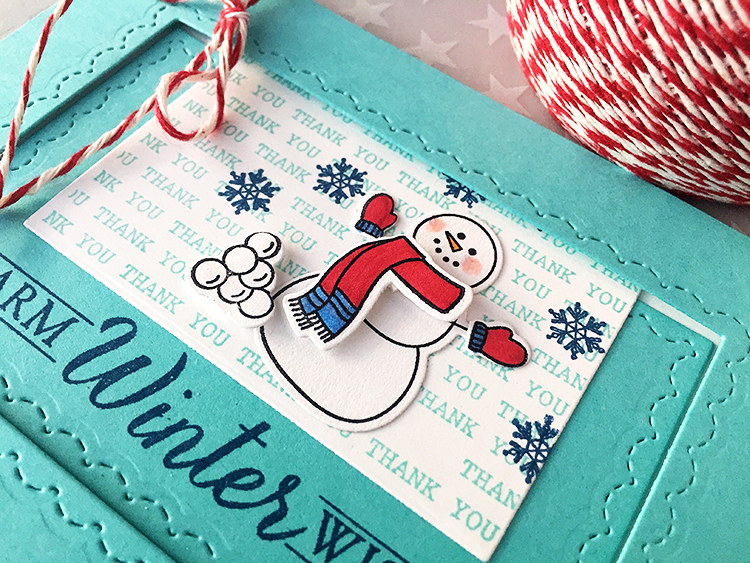 Today we are previewing a new stamp set called For You and some tag dies and Wrap It Up dies! Let's get started! 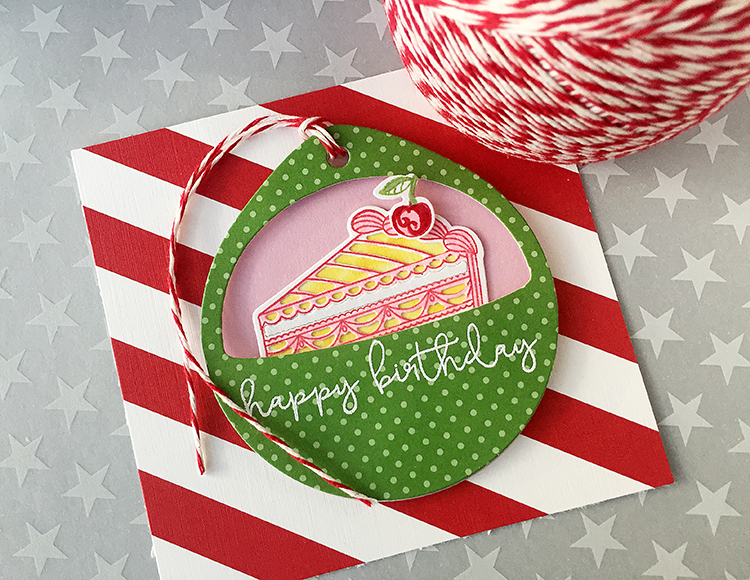 First I have coordinating tag and card set. 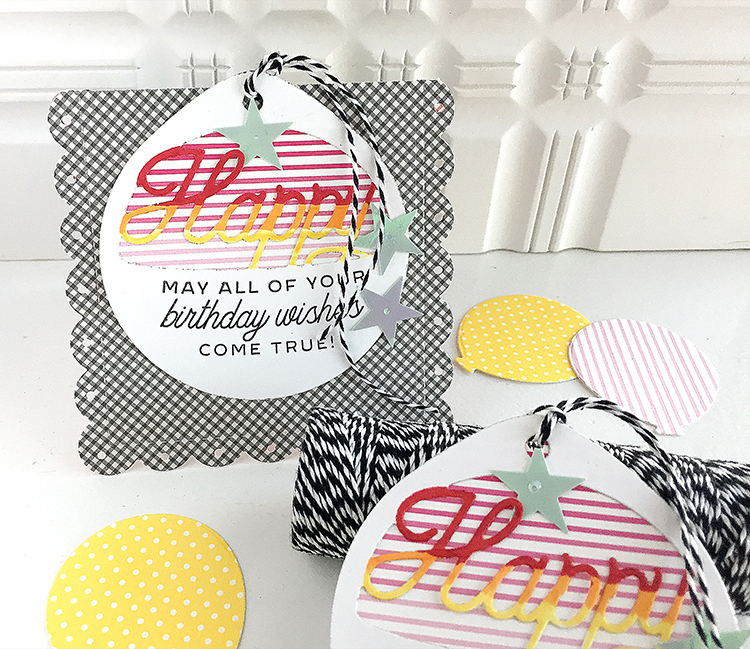 I die cut the "happy" tag and colored the word with Copic markers in an ombre fashion with red, orange and yellow, then backed it with the pink/red Ombre Stripes paper. It's stamped with For You as well. 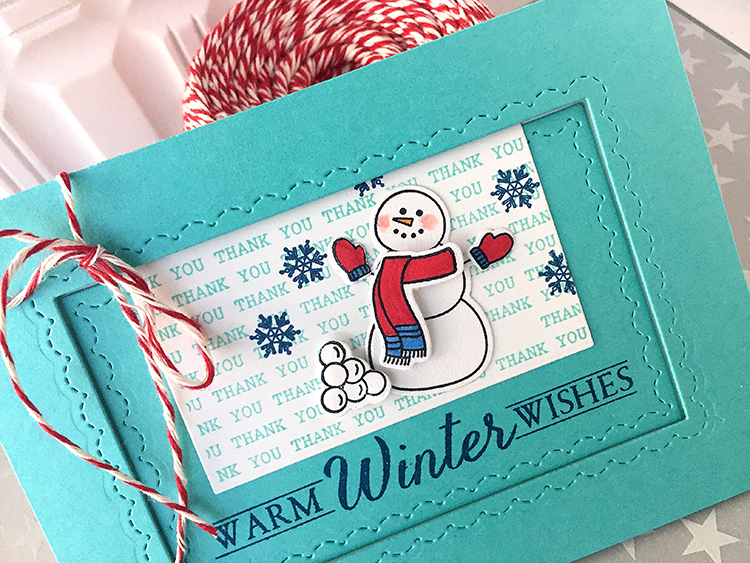 Then I have a coordinating card to go with it, with the same design, just a different sentiment from For You, and backed with a Noted: Scalloped Square die cut card base. OTHER: Copic markers, stars from Studio Calico, twine. 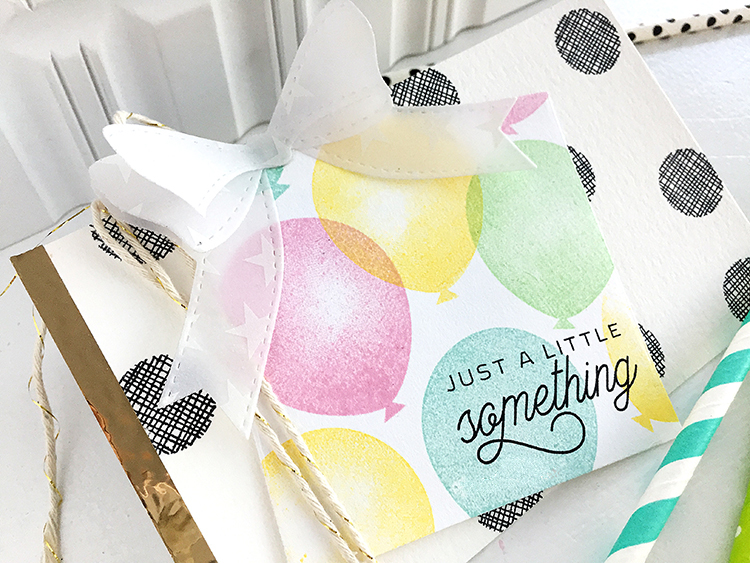 Next up are the new Wrap It Up dies, which include this square and adorable 3 layer bow that I cut from the star patterned Sheer Basics Vellum! I used For You again to stamp the sentiment. I thought this would be fun for a gift card holder. I was going to add the tiny "to/from tag" in the set, but forgot before I took my photos! Darn it! 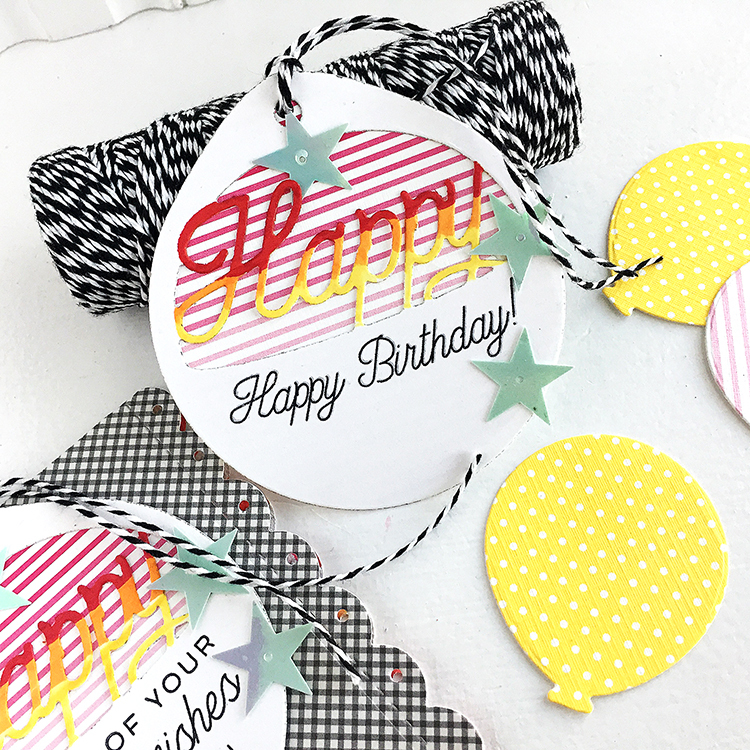 You'll see more of the balloon stamp I used in tomorrow's post! 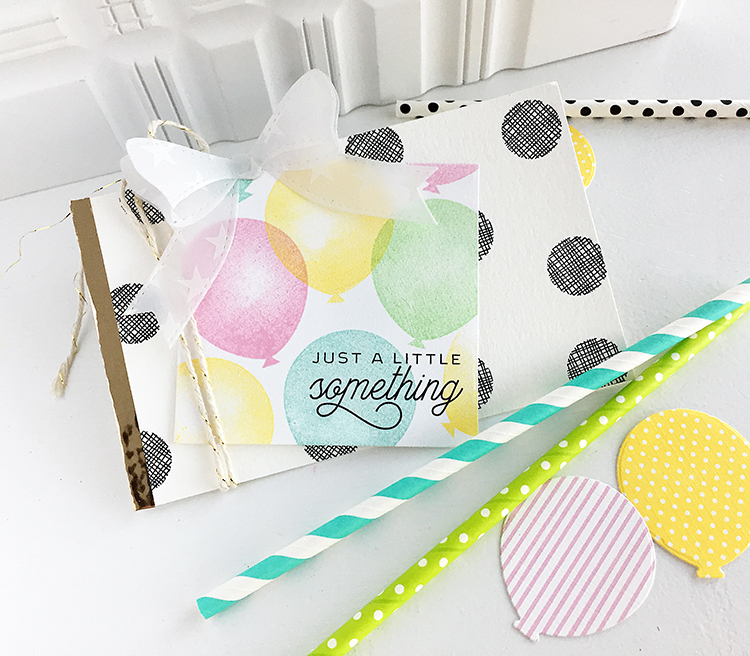 Don't you think this would make a cute pocket too for a party favor filled with colorful, fun goodies like these straws? 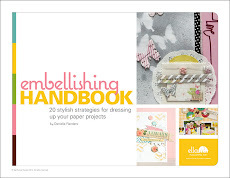 A pocket could be made by just stitching or adhering the sides and bottom.